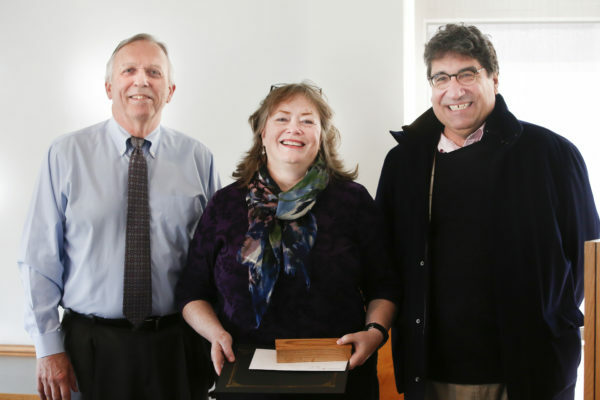 Linda Forceno, who serves as the Vanderbilt Institutional Research Group’s primary point of contact for external constituents, and Maureen Casey, chief administrative officer for the Mass Spectrometry Research Center, are the latest recipients of the Chancellor’s Heart and Soul Staff Appreciation Award. 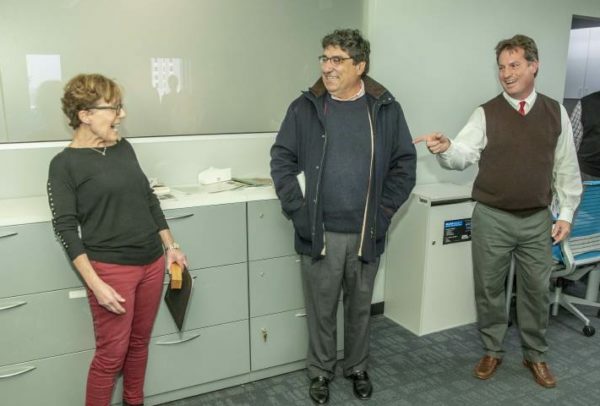 Chancellor Nicholas S. Zeppos surprised Forceno at a Dec. 18 staff holiday potluck in the VIRG Baker Building suite, while Casey was honored the next day during a Mass Spectrometry meeting in Medical Research Building III. 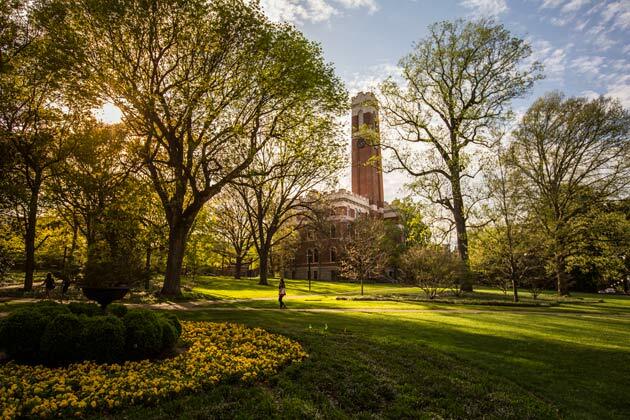 Forceno, an associate institutional research analyst, works diligently to make sure that Vanderbilt is represented accurately in external guidebooks and other publications that request data about Vanderbilt. She also strives to keep a warm “One Vanderbilt” spirit among the multiple offices in her suite by organizing fun and informative events—like a healthy baking session with HealthPlus. 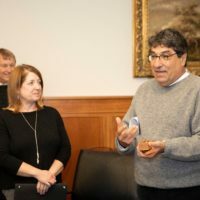 Forceno was nominated by Richard Iannelli, interim director of VIRG, who noted that the honoree has brought hospitality to the entire Baker Building by organizing an annual “Movable Feast” for all departments. 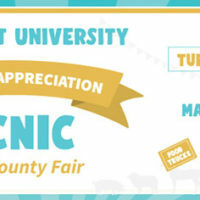 This event encourages workers to leave their desks and interact with employees in other areas if they want to share in the multi-course event. Forceno’s nomination was supported by her colleagues in Academic Affairs Process and Solution Implementations, which shares office space with VIRG. 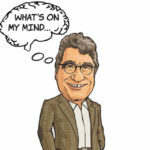 Casey also received thanks at the presentation from Richard M. Caprioli, Stanley Cohen Professor of Biochemistry and director of the Mass Spectrometry Research Center, who noted her deep empathy for others and willingness to listen and offer advice when asked. Casey was nominated by M. Lisa Manier, senior research specialist at the center, who wrote that Casey’s concern for others in Mass Spectrometry has extended to even offering childcare so parents can have “date night” and helping new arrivals find housing. 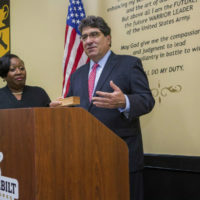 Forceno and Casey, who is retiring in April 2019, both expressed deep gratitude for the award. Each honoree received a $1,500 cash prize and a pen in a box carved by Nashville artist Brenda Stein from the recycled wooden doors of Alumni Hall. The Heart and Soul award was created by the chancellor in 2017 to recognize staff members who go far beyond what is set as the standard in their position. Staff are nominated for the award by their supervisors, managers and colleagues. 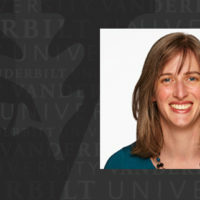 Nominations focus on a specific instance when a staff member did more than what was expected and for carrying the spirit and mission of Vanderbilt in all they do.